Let us introduce one of our friends here at The Southern Land Brokers. 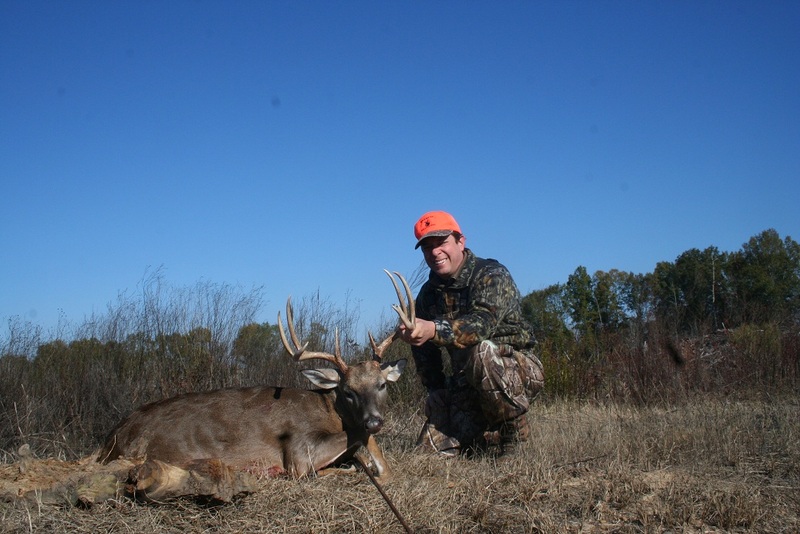 Dr. Douglas Owens has a busy practice in East Montgomery and is also an avid outdoorsman and landowner. Dr. Owens has produced some nice quality whitetail bucks on his farms. Dr. Owens was raised here in Montgomery and has fond memories of a very early introduction to the outdoors. Some of his favorites are those of squirrel hunting with family around Thanksgiving. He was mentored in the woods by his father who taught him the values and importance of being in the woods on a perfect morning. Dr. Owens went to Huntingdon College in Montgomery, Alabama and was a four year member of the baseball team. He then went to the UAB School of Medicine. He completed his residency there in Birmingham and then it was off to Iowa where he worked on his specialization at the University of Iowa. He moved back to Montgomery and started his practice in 1994. He now has a beautiful facility over by Baptist East Hospital. As the impressive collection decorating his office- of big bucks, magnificent turkeys and beautiful ducks would prove-he is a very good outdoorsman. Dr. Owens has properties in Lowndes and Montgomery counties. He understands the amount of hard work and dedication that it takes to manage a property for timber and wildlife. His favorite season is turkey season. Not even the trophy class bucks he has harvested make him as happy as hearing a turkey gobble on a chilly March morning. Dr. Owens has completed all the key steps that are so important to all landowners who really want to see results on their farms. Those include putting a feeding program in place along with managing cover areas. We are talking about 160 inch plus- Alabama Blackbelt bucks. At The Southern Land Brokers we are proud to see the results of landowners like Dr. Douglas Owens.